Right now, your body is flooded with hormones. While these are doing their best to keep your baby healthy, you are probably not feelin’ it. Waking up feeling green around the gills every morning can be a dreadful if you are constantly suffering from a bout of nausea. Morning sickness affects 8 out of 10 women and while it tends to go away around 14-16 weeks of pregnancy, for some it can last throughout. If you feel that your morning sickness is really severe to the point that you cannot even keep down water, you may be suffering from a more serious form called hyperemesis gravidarum (HG). The credit for making condition more mainstream is all thanks to Duchess of Cambridge Kate Middleton. In such situations, seek immediate medical help. When you are pregnant, a life-force called apana vata moves downwards to support the healthy development of your baby. If the mother-to-be is in excellent health, this downward flow of apana vata does not need much attention. But in case the new mother is tired or stressed, the vata energies that usually move upwards – prana vata – have to be directed downwards to help support the fetus. The prana is what gives rise to the proud joy of parenthood, and without it new moms can feel fatigued, depleted and even suffer from postpartum depression. 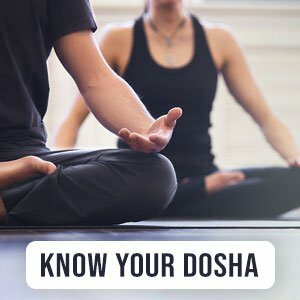 As a mother-to-be, if you are experiencing the unique transformation of your body with slight hiccups we have these Ayurvedic pregnancy tips for you so you enjoy this beautiful time in your life. All this talk of Vata so it follows suit that we need to bring Vata into balance. Because this is the life force that nourishes the nervous system. Feed it with lots of fresh, plant-based foods, sprouted grains and healthful oils like ghee, coconut and olive. Try not to eat leftovers, processed foods and reheated meals. Vata is best sated with foods that are sweet, salty and sour. When you are expecting, eat sweet foods as much as possible as they are wholesome for your little one. This means whole grains, rice, buckwheat, quinoa, sweet fruits like bananas along with healthy starches like carrots, beets and sweet potatoes. Heavy, fried, fatty or spicy foods are on the no-no list. Also, try to figure out what agrees with you and what doesn’t. This is the time that you are eating for two (possibly different) body constitutions so it could be possible that foods you normally prefer can throw you off balance now. This is one of the Ayurvedic remedies that can help a mother-to-be keep some food in the stomach. Brew a tea made with half-inch of fresh ginger root, 1/4 tsp. fennel seeds and two crushed cardamom pods. Drink this in the morning with dry crackers or toast. If you feel you can’t eat a complete breakfast, keep snacking on the toast and tea till the nausea has passed. Oils can soothe Vata energies and the sensitive nervous system of the mother. After all, a calm mother makes for a calm baby. You could indulge in a comforting self-massage, or this could be a great way for your partner to pamper you. Gently stroke the belly and in the last phase of pregnancy, pay special attention to the breasts to prepare for nursing. A walk for 30 minutes a day can be a great way to breathe in fresh air and get some gentle exercise. This is also a time for when you need as much rest as you can to replenish the source of life-sustaining ojas – a nutrient fluid that supports strength and immunity. You will pass this from your body to your baby’s.